In a shocking exposé, the SABC News can reveal how fake payslips and bank statements are sold in Johannesburg. 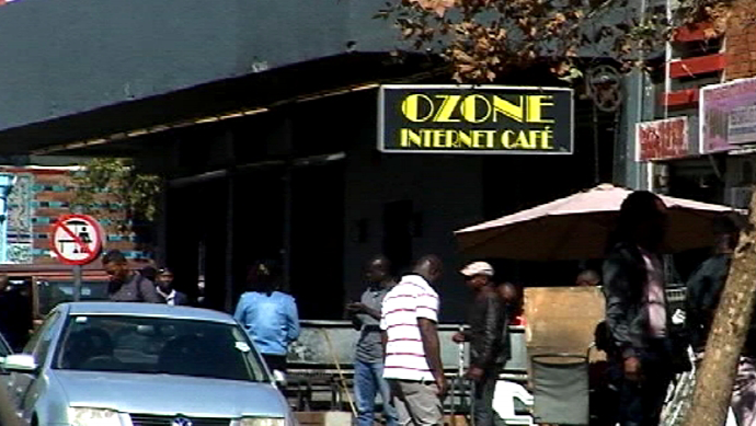 The documents which appear authentic can be obtained at an internet café for just R600. The payslip contains a telephone number of a fake company where a potential creditor can confirm employment. At the internet café in Yeoville, Johannesburg, creating forged payslips and bank statements are as easy as pie. All that is needed is a computer and a printer. SABC News received a tip off from a community member, we decided to go undercover to show our viewers just how simple the job can be done. Anywhere in the whole of Yeoville everybody knows him. His name is Kagiso known as Rasta man. He is a grand master. So we meet Rasta and ask him if he can provide the documents. “I need three months bank statements and payslip. – Which bank should I use? Capitec is better. What about a confirmation number? If they call who are they going to get?” we asked. “The person who has the line. The number is not for a specific person but they say hello and will confirm. You can use as many companies as possible. How much? Confirmation number is separate, it’s R200, bank statement is R200, payslip is R100 each on original paper,” answered Rasta. Kagiso known as Rasta gets down to fabricating a perfect replication of a payslip and bank statements, so seemingly authentic, that it fools even us. He is a busy man, inundated by clients. After about 30 to 45 minutes, for R600, we got a payslip, with a randomly chosen name and surname that we provided. The ID number of an unknown person, working for a company that Rasta chose, in a position of our choice. So we tested the number on the payslip to confirm if our non-existent employee works at the stated company. Unsurprising, the bogus company confirms a bogus employee, and that opens the door to a world of credit, ramping up debt of thousands or even millions of rand hat no one can trace to you.